Do Search Engines Have An Obligation To Ensure Accuracy? Editor’s Note: A related post to this one also is here on TheWondersExpedition.com. Throughout the process of producing the upcoming release of Dr. Mark Van Stone’s 2012: Science and Prophecy of the Ancient Maya interactive book for the iPad, I’ve seen the wide-spread erroneous use of the Aztec Sun Stone calendar labeled as the “Maya Calendar” on dozens of sites across the Internet. For example, if one uses Google, Bing or Yahoo! 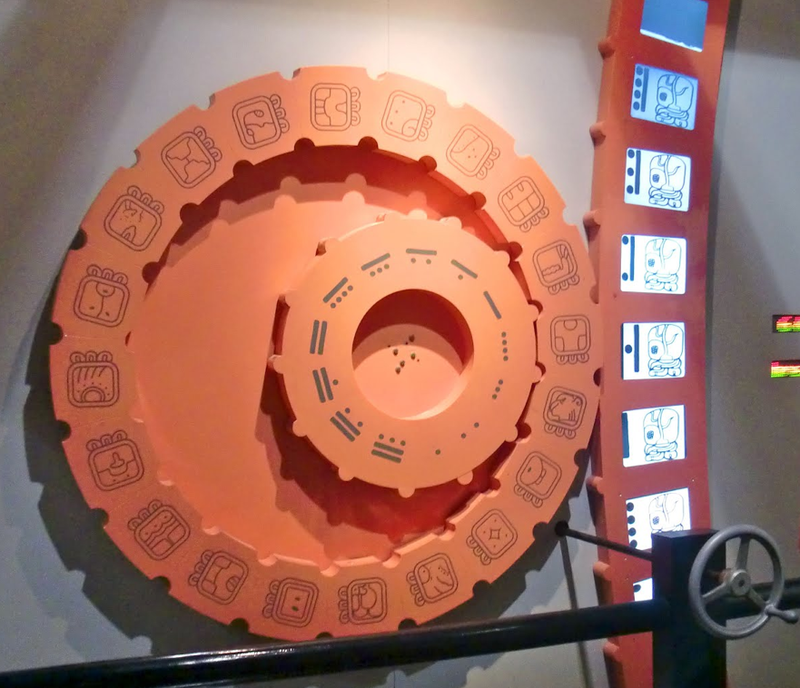 to search the term “Maya Calendar” all of them will bring up photos of this Aztec piece of art that never was seen nor used by the ancient Maya. This begs two serious questions–1) Can information published on the Internet be trusted? and, 2) Do search engines like Google, Bing and Yahoo! have an obligation to seek out and correct gross distortions of the truth for the purposes of accuracy? But here’s the problem: 4.4 million results were found on Google alone, and scrolling through the first page of them, nearly 75 percent of them are WRONG! The other assumption is that the Maya Calendar/Aztec Sun Stone can’t the the isolated incident where this is happening on the Internet! According to Hluska, the “truth has been the biggest casualty in the growth of the web. It is difficult to pinpoint responsibility here. A company like Google would have to hire people to read pages and check facts. With millions and millions of pages, they would have to hire thousands of experts in many conceivable areas.” That clearly isn’t possible and just as clearly isn’t going to happen. Herzog pointed out poignantly, that “Nothing on the web is correct–and yet everything is correct.” His recommendation when doing research on the Net was to “take the so-called journalist perspective to double-check anything” unless it is obvious the source is authentic. Clickoptimize.com‘s SEO technician, Colin Jarman wrote that, “Unfortunately, it is not the responsibility of search engines to verify the accuracy of data they return. …Anyone can put anything they like on the web, and all Google does is find it. Unfortunately, if society at large is suffering from a misconception like the one you describe regarding the Aztec and Maya calendars, then that is likely what search engines will show.” He recommended more reading here. When we talked a little about people just accepting what they finding on the Net, he replied, “I think you sort of hit the nail on the head when you said, ‘the problem is most people just accept what they find on the Net and go with it. '” Clearly, from the example of the Aztec and Maya calendars, one cannot afford to do that. “People have always been able to say/write/produce whatever they like, and it’s always been up to the consumer of the information to decide whether or not to trust that information… it’s just that information is easier to get than ever nowadays. Without getting too terribly technical here, there IS a metric that Google uses called ‘Page Authority.’ In essence, the more times your site is cited as a ‘source’ and linked back to, the greater your PA. The greater your PA, the higher chance you have of coming up in the search results for any given term,” Jarman said. He also said that in this way, Google does sort of evaluate the trustworthiness of a site. “For instance, Wikipedia is often cited as a page of notably high PA due to all the people that link to it as an authority. 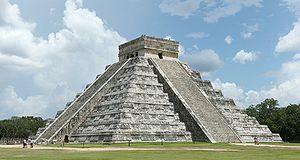 The Wikipedia pages do distinguish between the Mayan and Aztec calendars. Good sources are out there, they just take more diligent research to find,” Jarman said. I really appreciate the dialogue generated with each of these Netizens. 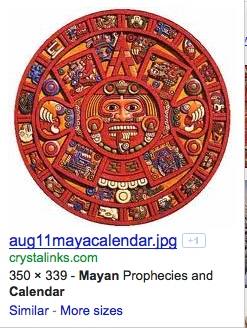 So you know now, the Aztec calendar pops up when one does a search for the Maya calendar on multiple search engines. Are there other topics where this happens? Surely, if there’s one there are many others. Have you personally tried to address this issue? What would you recommend? If you were at Google, Bing or Yahoo! would you be concerned about this issue at all? How would you address it? Our chuckle of the morning comes from the photo of this Half Priced Books mark down of John J. Liptak, Ed.D’s 2010 book entitled: 2012. It’s about prepping for the “spiritual” changes that he says will take place on Dec. 21, 2012 and talks about the Maya Tree of Life and on and on and on. 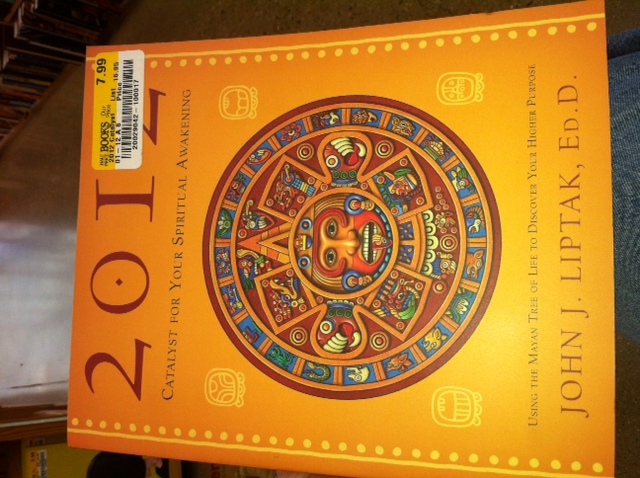 But for starters, the cover features the AZTEC CALENDAR STONE! Something the ancient Maya never saw, used or anything else. So if Dr. Liptak’s book cover isn’t even right, makes you wonder about what’s inside it…. A brief review and we left it on the shelf. Bouncing about along ridged dirt and gravel paths our trek into Chaco Canyon begins a few hours after sunrise. Occasional stops to capture images of the geology and history afford us moments to stretch for the walks ahead. Mungo Pavi ruin just the west of the main entrance is the first stop. 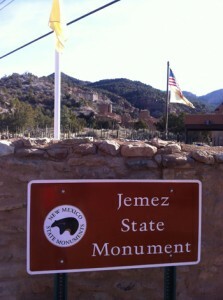 Three other pueblos entertain modern visits. Videos and pictures highlighting a people’s life in a land less receptive to habitation now than a thousand years ago I stand astounded and surrounded by others equally as awed. Circling through crumbling walls and rooms with dirt now filled, once bounding with laughter and cries of a people long from this valley a living here tried. We stepped through halls long now paths for rabbits and mice, once echoed with leather and yucca fiber sandals. Seeing the level of construction with each successive rebuilding by Chacoan residents reflects their desire to improve on their past and grow a future. 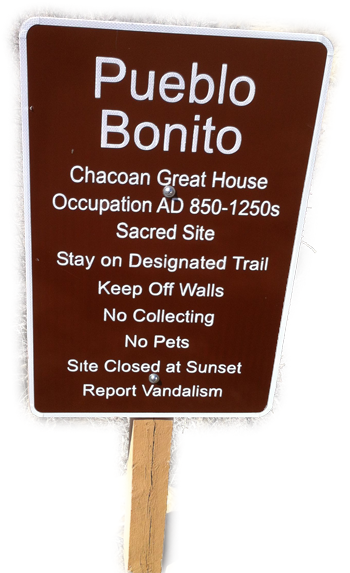 Wandering from rooms in Pueblo Bonito on the third level of a four story complex abandoned before the first Conquistadors tread through this land other’s voices of wonder recall ancient visitors first visit to the complex. No warriors stands reflected in the construction rather security from the elements with walls three-feet-thick, many hollow rocks stands filled with sand. Great and small Kivas most round with chimneys and benches for day’s-long ceremonies. Questions of why, why here, why then and why did they leave remain unanswerable. But the answers are there in the faces of the pueblo residents who still inhabit this region. More to come on the next adventure. Today in a small corner of New Mexico I found an archeologist who repeated my own thoughts on things pulled from these sacred grounds. 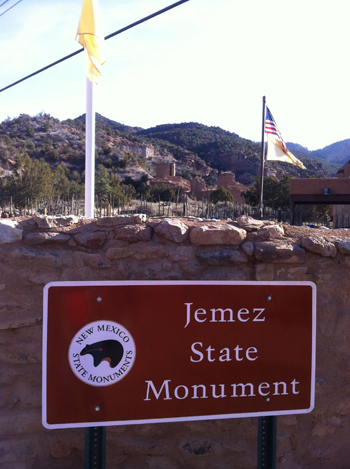 Twenty-two known Pueblo nations stand watch over hundreds of diggers rifling through shared histories, ruins and more. Many unwilling to share the paths to the present. But for a few, who are willing to explain, years of misunderstandings come crashing down instead of the walls raised from the ground. Each explanation of a simple artifacts as they are found sheds light and perceptions changed abound. Sharing thoughts of a seasoned Chaco Canyon digger I heard of the needs shared by the Puebloeans as each grain from their past is swept away. Respect for the dead, understanding for the living and hopes for the future. More of this conversation and more to soon be introduced. My time here in this pass is short, as the wealth holds out, the voices I need for learning busy seeking next year’s funding. Oh and not every unknown artifact was some sort of religious piece. How many items in your own home are religious in nature…. In the morning my first visit to Chaco Canyon…. 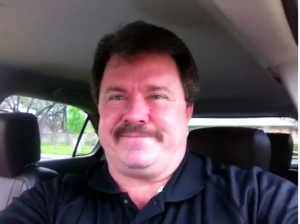 He just took delivery of the car, which will be decked out with identification information about TheWondersExpedition.com and our sponsor, GM of Texas, with the hashtag of #TWEChevy. Allen’s got some great prizes to give away, too, from those who might spy the car on the road between here and New Mexico. If you see the car, take a photo of it and then tweet it with the #TWEChevy hashtag. You might just win some very cool stuff from Chevy! Again, we offer a special thanks to Vicki Cosgrove of GM Texas for helping make this even possible. Your Photo Galleries Are Welcomed! We’ve added a photo gallery for inclusion on TheWondersExpedition.com and wanted to share with you the opportunity to post some of your visits to some cool sites on our pages. Just to name a few? If so, leave a comment and make sure you include your email address when you register. We’ll be in touch shortly thereafter. Would you like to offer a guest post on your adventure? What was it like to be there? Do you have travel tips? The name of a great guide or tour service to use? Where did you stay? What were the smells and sounds like? Through some very exciting conversations of late with renowned Mayanist Dr. Mark Van Stone, we have developed a very keen understanding of what he refers to as the “projecting” of our knowledge onto an earlier society that had not discovered what we know today and instead of explaining the world through their frame of reference, seeing it AND explaining it through ours. In other words, creating a total distortion. This is a very dangerous practice and one that often leads to the nonsense we see in shows like Ancient Aliens, where learned professors like Dr. Van Stone spend a small portion of the show giving an authoritative perspective, only to have it then clouded by a clown with big hair who says the answer has to be aliens. What better a day to have this discussion. To the right is a photo of the Maya Calendar exhibit at Museo de la Cultura Maya in Chetumal, Belize. Though it’s Leap Day, to the Maya, this meant nothing. They apparently didn’t make up for “Drifting” in their calendars. But we have seen this concept of the Maya Calendar displayed in many places and even are having an internal debate on how to use it in applications being developed by our art department here in Dallas. But there’s one HUGE, ancient-pyramid-sized error in what you’re looking at. The Maya didn’t have the wheel. 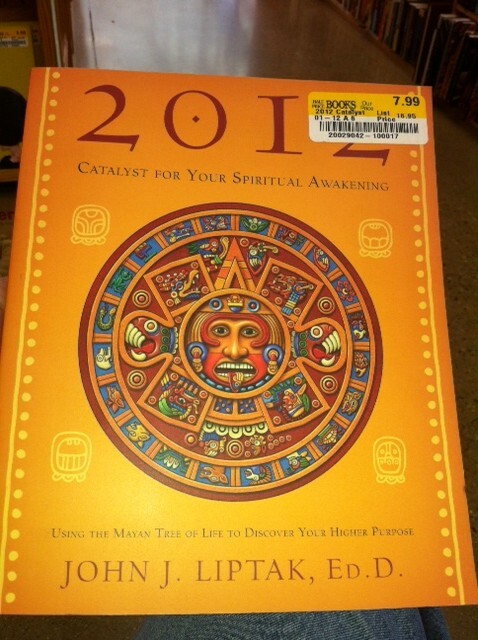 So if they didn’t have the wheel, though cyclical like ours today, their calendar did not look like this. As Dr. Van Stone has pointed out, neither does ours. It is just this sort of thing that makes television shows like Ancient Aliens so plausible and easy to believe. And it is just this sort of thing that when it’s shown as fact, needs to be called out and explained. We can understand why this is being used: Because today we KNOW about the wheel and because of our knowledge today, it’s easier to look back on what they didn’t know then and conceptualize. But…. In their 2007 book, Made To Stick, the Hatch brothers talk about an experiment to do with tapping out the rhythm of a song. If you hear a tune in your head and you start tapping it out on the table in front of you, there’s no doubt you can be just as impressive (in your own mind) as Ringo Starr or Peter Chris from Kiss in banging it out. But without humming the tune and without saying ahead of time what it is, ask someone sitting there with you what it is you’re tapping out. The odds are tremendously high they are not going to be able to name that tune. Why? Because they don’t have the same frame of reference about the tune in your head as you do. You are the only one who can “hear it.” Once they know what you’re tapping out, the chances improve that they might be able to say that they can hear what you’re doing, but even then…. So on Leap Day 2012, remember, there is a lot of thinking and work that went into the marking and the use of Leap Year and Leap Days. If today is your birthday, congratulations. We wish you a great day, certainly. There is plenty of information on the Net about how we came to have a Leap Year. Julius Caesar is often given credit for adopting the Leap Year tradition in 45 BC to help the seasons catch up with the calendar once they had shifted. As you may know, the length of a year isn’t actually 365 days, it’s a little longer, so when you’ve had a couple of them go by, things start to get out of sync, and gone far enough, Dec. 25 could have drifted into another season, etc. Pretty cool when you stop and think about it. Much has been written and said about the ancient sites that confound us today with their mysteries about their origins, purposes, and the techniques used to build them. But one essential fact needs to be thought about–these sites were built with a lot of cooperation from what had to be population centers of significant size and united behind a common goal. The Pyramids once were said to have been built with slave labor. Until recently, that seems to have been disproved and that there were actually commissioned craftsmen who built them. Stonehenge in England took a lot of work to be built; just dragging the stones several hundred miles, let alone hoisting them into place. 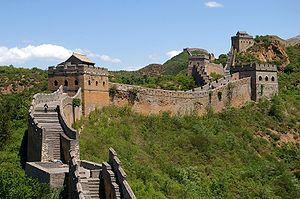 So did Gobekli Tepe in Turkey and then there was the Great Wall of China. Don’t forget about the pyramids in South America, the temples throughout Cambodia, Thailand and India, and the incredible mounds located in the United States such as Poverty Point and the Monk’s Mounds, at Cahokia, in Illinois. The point is, each of these places took the cooperation, coordination and the combined labor of thousands of people–their local communities, with people giving up their time and effort in this thing we call life to build something bigger than themselves, that ultimately, has stood the test of time. The question for discussion here is do we, in 2012, hold a candle to their levels of determination, grit and desire to see a project to completion? Filed Under: Archeoastronomy, Dolmens, Earth Mounds, Menhirs, Pyramids, Stone Circles, Temples Tagged With: ancient archtecture, ancient sites, Cambodia, community, Göbekli Tepe, Great Wall of China, South America, Stonehenge, Thailand, Turkey, United States, who built the pyramids? We’ve been working on our photo collection of Wonders sites around the world and finally have launched a Pinterest page we are excited to share with you. Already people are beginning to pin some of the curious points we’ve included, and literally, we are just get started. But we can’t help but noticing the way that all these photos combined on one long scrolling screen just further points out the incredible similarities we’re trying to emphasize via The Wonders Expedition. And to us, that makes what’s happening with Pinterest, pretty cool and amazing. Do you have photos you’d like to add to our collection? Send us the links and we’ll be happy to add them if they’re in the scope of TWE. We’ve been doing a lot of work lately to assemble the core team to launch The Wonders Expedition™ and our other legacy products that are in development, but back on December 22, 2011, our Founder, Don Claxton and his daughters were at the historic site, Poverty Point/Lower Jackson Mound, near Monroe, Louisiana in the southeastern United States making some pretty curious findings. 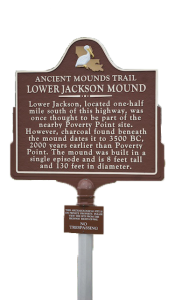 The Lower Jackson Mound, which is about eight feet high and more than 130 feet at its widest point, is said to have been built almost 5,400 years ago. If that is true, and Carbon Dating has suggested that to be the case, that means it was built here in the United States prior to Stonehenge/Woodhenge/Sillbury Hill/The Henge of Avebury in England, AND the Pyramids of Giza in Northern Egypt. 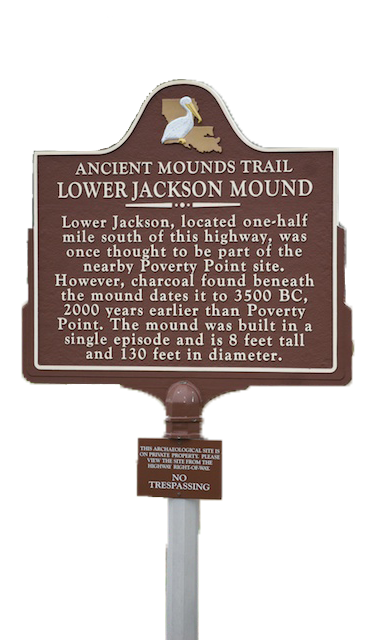 Poverty Point itself was built about one-half mile from Lower Jackson Mound about 1,650 BC, which is about 3,660 years ago, and after Stonehenge and Giza. It is fascinating nonetheless. From accounts of local historians, its mounds, like Lower Jackson Mound, were all constructed out of dirt. “There are no rocks in the area,” we were told. Certainly no limestone. But here in the Southeastern United States, just about 20 minutes north of Interstate 20 in Northern Louisiana, mankind once had made this a thriving area of life, civilization and trading. There are utility rocks that have been found at Poverty Point that were used for spearheads, cooking, idols, etc. And science has found those rocks came from all over the eastern United States and even as far away as the Great Lakes Region. We won’t argue that there may seemingly be many other more curious and interesting places around the country–Mesa Verde and Chaco Canyon in New Mexico come to mind. But it is important to not overlook places like Poverty Point as well. It has tremendous historical value and possesses its own lore and mysteries. What happened to the people who lived here? Some suggest they migrated into Meso America and became what we know of as the Olmec. Just like the Anastazi had a major site in Chaco Canyon and then abandoned their site, or like the people who built Stonehenge used it for many years and then stopped, similar things seem to have happened here at Poverty Point. We are in search for answers to many questions that make these places around the world so intriguing. Thank you for reading. We invite you to follow us on Twitter for additional updates and to LIKE us on Facebook. Very soon we will be opening a subscription service so you can receive more frequent updates about the activities we have underway around the world.